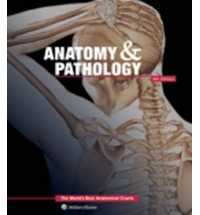 The Sixth Edition of Anatomy &; Pathology: The World's Best Anatomical Charts features 52 new and updated anatomical charts created by some of the world's best medical illustrators. This reference is an essential addition to every library, whether you are a health professional, student, or interested consumer. These anatomical charts show the human body in a format that provides a clear and visual understanding of human anatomy, physiology, and diseases. Medical terminology and easy-to-understand supporting text are printed directly on each chart so you never have to refer to a separate key card or manual. 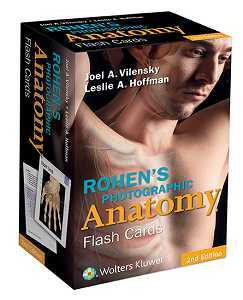 The convenient size and format make it ideal for studying, patient consultation or quick reference. 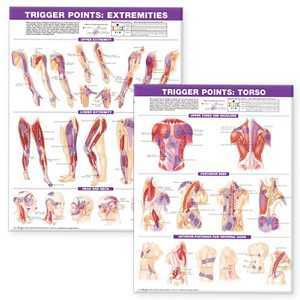 Systems of the Body: 12; Structures of the Body: 16; and Diseases, Disorders and Conditions: 24. Features: 58 pages; 52 full color charts; size 10" x 12"; and Spiral bound, soft cover.